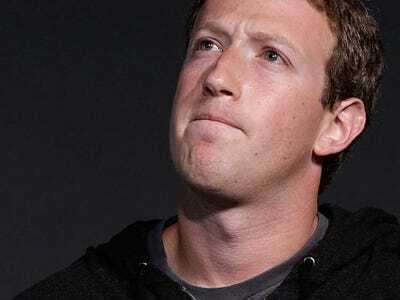 Win McNamee / Getty StaffPeople use Mark Zuckerberg’s social network every day. But why? That’s an awful lot of daily habits, and it’s part of the reason Facebook is worth some $US200 billion. What Facebook wants to create an association with is every time you’re bored, every time you have a few minutes. We know that, psychologically speaking, boredom is painful. Whenever you’re feeling bored, whenever you have a few extra minutes, this is a salve for that itch. As its title promises, “Hooked: How to Build Habit-Forming Products” reveals the psychological processes that occur when our favourite products become integrated into our daily routines. BUSINESS INSIDER: At the start of the book you write that “companies find that their economic value is a function of the strength of the habits they create.” Why do you make this claim? NIR EYAL: The cold truth is that the best products don’t always win. Many times it’s the products that have the ability to keep users coming back and using them without conscious thought and using them out of habit, are the ones that keep us coming back. Let’s say Google. Google is one of these products that I think is incredibly habit-forming, and it’s the kind of product that shows this characteristic of something that we use with little or no conscious thought. You don’t even consider whether there’s a better search engine out there for people who are habituated to Google, and the evidence is in head-to-head comparisons, when you strip out the branding, people can’t tell the difference between Bing and Google. It’s a 50/50 split. And yet Google dominates the market with something around 87% of the market share. So these habits because a huge competitive advantage, and one of those advantages is that they keep competition out. 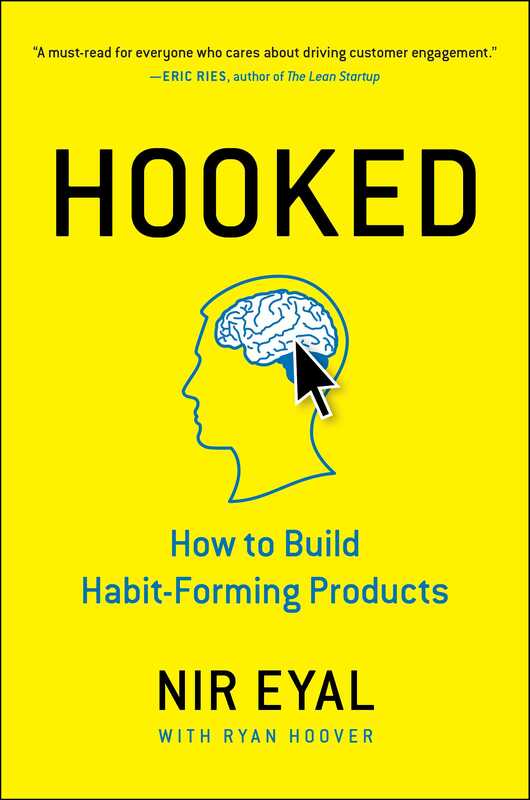 BI: What’s the difference between habit-forming products and something like brand loyalty? NE: Don Draper-style advertising is really only available to the biggest brands out there. It’s only commodity goods that use those kind of messages because they have to differentiate goods that are really hard to differentiate between — Shell gasoline versus Exxon, Coke versus Pepsi, Sprint versus TMobile, it’s all the same thing! The only way they can really differentiate is through brand. But you don’t see many commercials for the greatest tech companies in the last five to 10 years because they’re creating these associations not through brand impressions, but through experiences — and experiences form habits. BI: Let’s use a case study. More than 864 million people use Facebook every day, and a full 30% of Americans get all of their news on Facebook. How has Facebook become a habit for so many people? NE: I think the main hook is pretty simple. What Facebook wants to create an association with is every time you’re bored, every time you have a few minutes. We know that, psychologically speaking, boredom is painful. Whenever you’re feeling bored, whenever you have a few extra minutes, this is a salve for that itch. Eventually you don’t need those, because we just start checking those out of habit, but at the beginning we just get triggers from those. The action is as simple as opening the app. What photos do people post? What are the comments going to say? How many likes do people get? It’s a slot machine with lots of variability of what I might find. And by loading the next trigger. I’m loading the next trigger because when I send someone a message on Facebook, or I like something, or I comment on something, guess what Facebook gets to do? They get to send me an external trigger, bringing me back, saying so and so replied to something that you were involved with. And you did it! You prompted that message; it’s not Facebook spamming you. You posted a photo and someone liked it, come see it. Loading the next trigger is when they send you this external notification that you prompted and now you’re passing through the hook once again, continuing through the same basic cycle. Forever and ever.